Gluten free pancakes made with almond flour are a delicious way to pack a healthy punch at breakfast – or dinner! 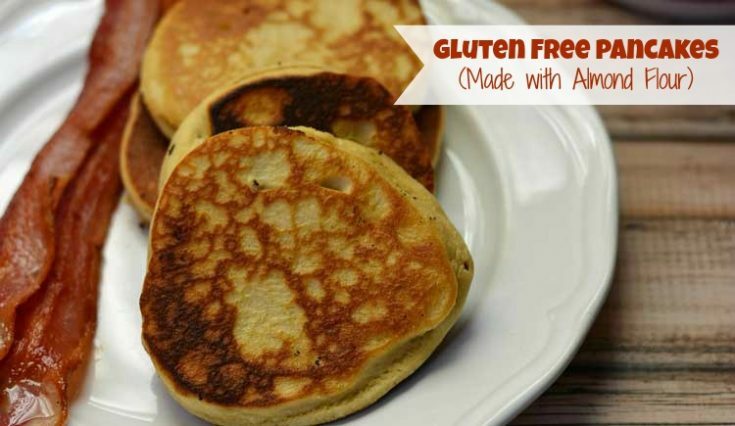 Made in the blender with almond flours these gluten free pancakes are ready in a hurry, too. When my family went gluten free earlier this year, I checked out many different sources to find gluten free recipes. I'm not a big fan of gluten free flour mixes, so I stick mainly with almond flour and coconut flour. 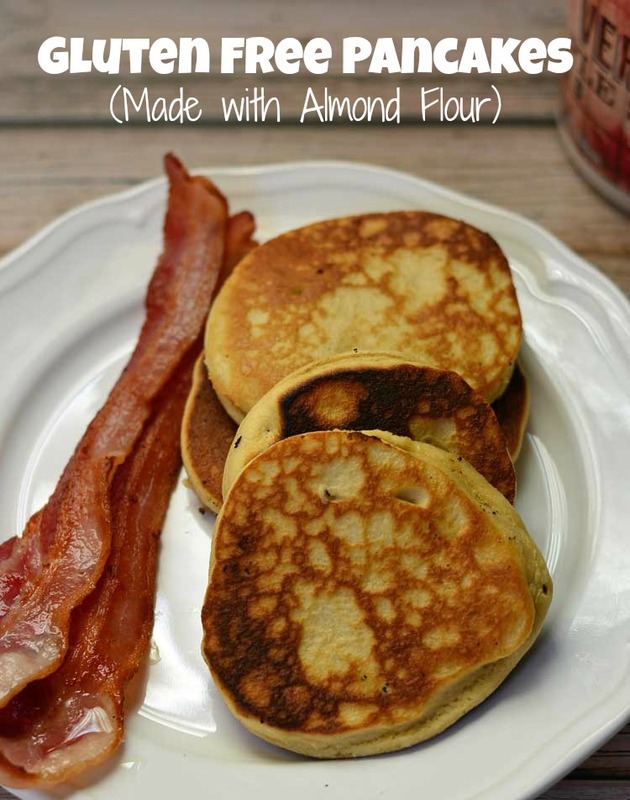 I purchased The Gluten Free Almond Flour Cookbook by Elana Amsterdam to help me learn how to cook with almond flour. I haven't yet gotten past the pancake recipe! My family loves pancakes and waffles. 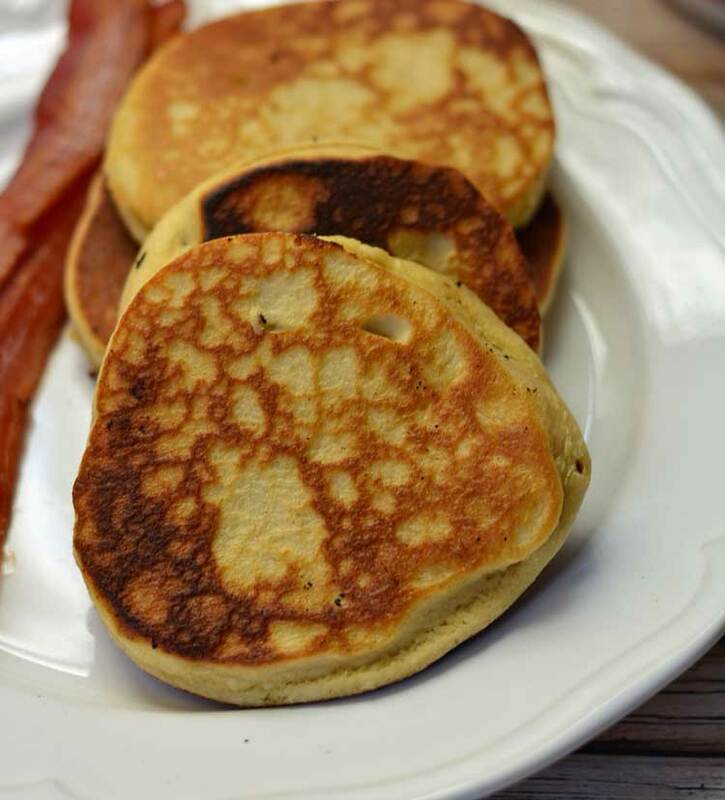 I found a great gluten free waffle recipe, but wanted an option with less eggs for pancakes. I really like this pancake recipe, but it was way too sweet and I kept burning the pancakes. So I gradually cut back on the agave nectar and found that about 1 Tablespoon helps to make the pancakes less sweet and not burn quite so easily. You still have to cook them on a pretty low heat setting and watch them closely to make sure they don't burn. I also added oil in to the recipe. I've never made pancakes without some sort of fat and the one time I didn't put the oil in the pancakes, they were a disaster. Choose whatever oil your family likes best. I often use grapeseed or avocado oil because they don't have any flavor. 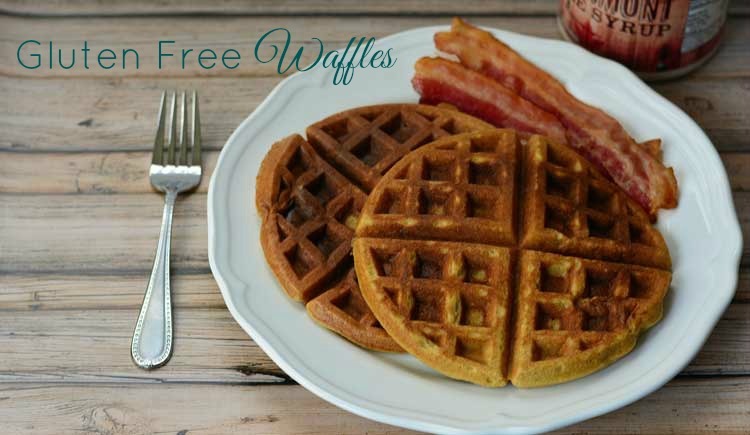 Don't forget to check out our favorite Gluten Free Waffles, too! These are great with homemade whipped cream and sliced strawberries! Blend together eggs, agave nectar, vanilla and water in a blender on high for about a minute. Add remaining ingredients and blend again until thoroughly combined. Scoop out about 2 Tablespoons of batter on to a pre-heated skillet on medium heat. Cook on one side until bubbles slightly appear on the uncooked side. Watch closely to avoid burning. Flip over and cook on the other side until completely cooked through. Your Pancakes look so good, I love pancakes. Hope you are having a great weekend and thanks so much for sharing your awesome recipe with Full Plate Thursday. I went on a 21-day detox diet recently and tried to keep it gluten free. Your pancakes look delicious. Sometime I’m going to try the almond flour. Thanks for sharing! You’re welcome Angie! Good luck on the GF diet! I found it in bulk at Winco but if you don’t have one of those try a bulk section at any store. It’ll be cheaper that way.